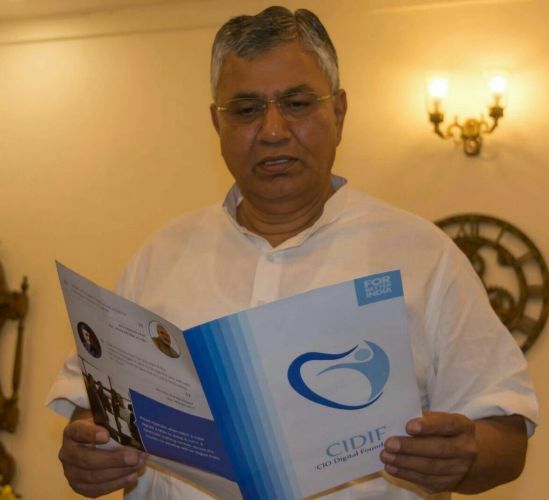 CIO Digital Foundation #CIDIF team met Hon’ble P. P. Chaudhary, Minister of state, Law & Justice and Electronics & IT to congratulate him on his new role. The joy of meeting was doubled as it was Hon'ble Minister"s birthday too. CIDIF team was represented by Mrs. Prarthana Gupta, and Mr. Rajeev Gupta. Mrs Prarthana Gupta updated Hon’ble minister about the contributions made by CIDIF for digital India and skill India initiatives by NEGD & NIELIT. Over the discussion Shri P P Chaudhary took a quick look on CIDIF brouchur and encouraged team to continue their efforts and suggest more collaborative efforts. 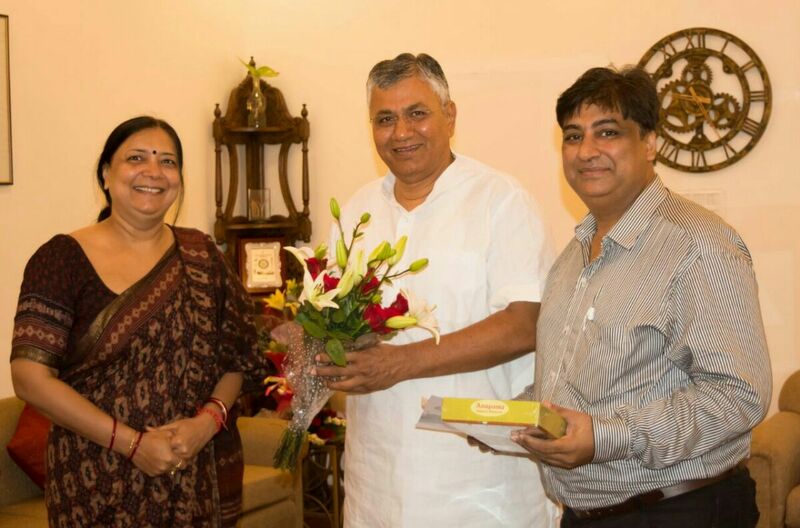 CIDIF Team would meet Shri P. P. Chaudhary again for detailed presentation on CIDIF"s plans.